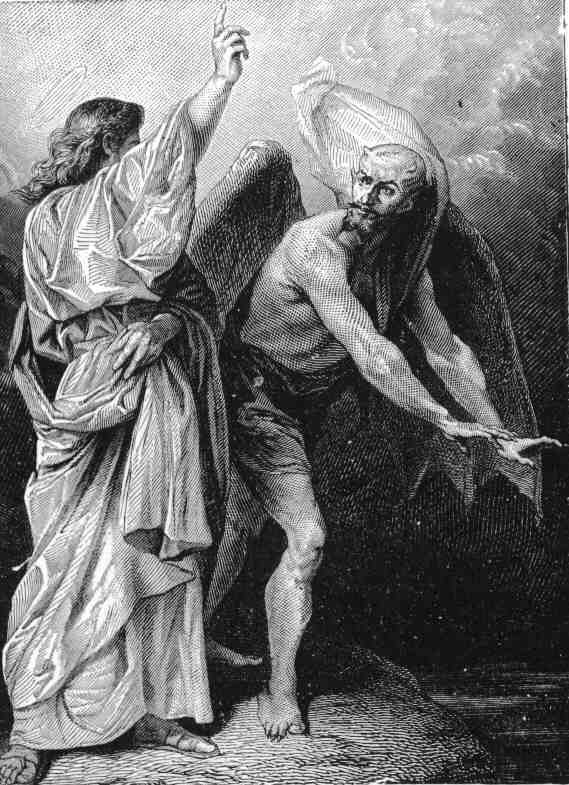 Jesus casting out a demon. And when he was come to the other side into the country of the Gergesenes, there met him two possessed with devils, coming out of the tombs, exceeding fierce, so that no man might pass by that way. And, behold, they cried out, saying, What have we to do with thee, Jesus, thou Son of God? art thou come hither to torment us before the time? And there was a good way off from them an herd of many swine feeding. So the devils besought him, saying, If thou cast us out, suffer us to go away into the herd of swine. And he said unto them, Go. And when they were come out, they went into the herd of swine: and, behold, the whole herd of swine ran violently down a steep place into the sea, and perished in the waters. Can Satan cast out Satan? NO, Demons are not flesh and blood but are spiritual beings that dwell in high places in the heavens. Demons are currently busy working on the sons of disobedience. Most are assigned to unbelievers,in order for one to be free of them one must be constantly filled with the Spirit or else they will return with more hosts. The Word of God(The Bible} is a great place to start. Equip yourself with the Full armour of God so that you may be able to fend of the attacks of the Devil and his many hosts. Read and live by the Book of Life.